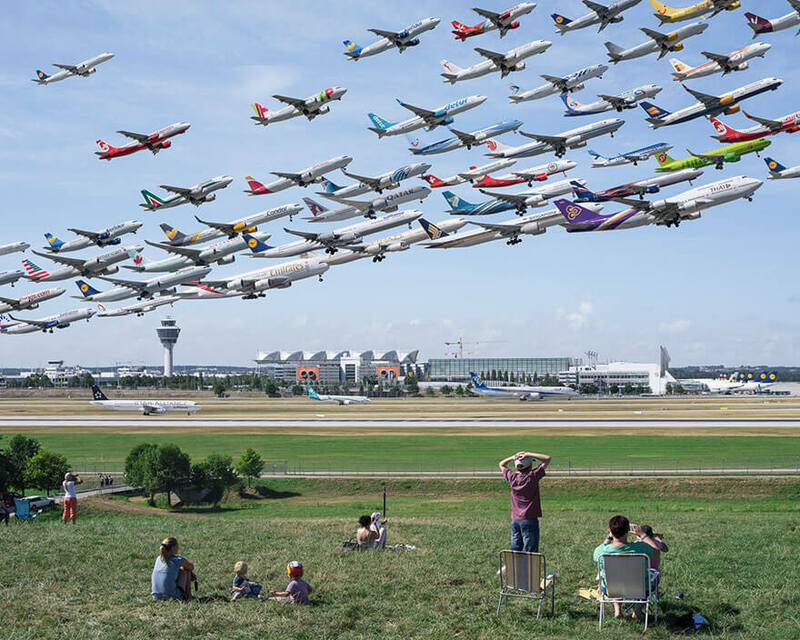 The image of an aeroplane taking off is powerful, for sure. 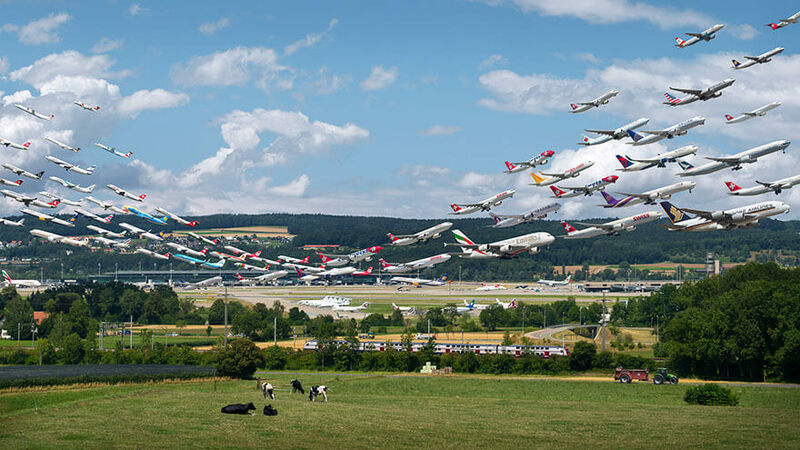 Of course, even more impressive of that sight is a sight of dozens of aeroplanes taking off an airport at the same time. 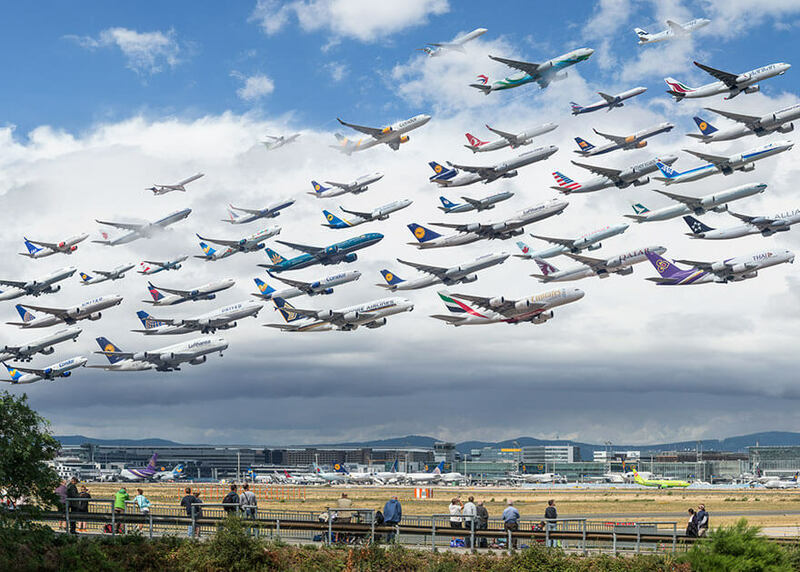 These giant machines, powered by massive engines, cause in an observe thrill with a doze of anxiety by flying so close to each other, lined up just like a flock of birds. 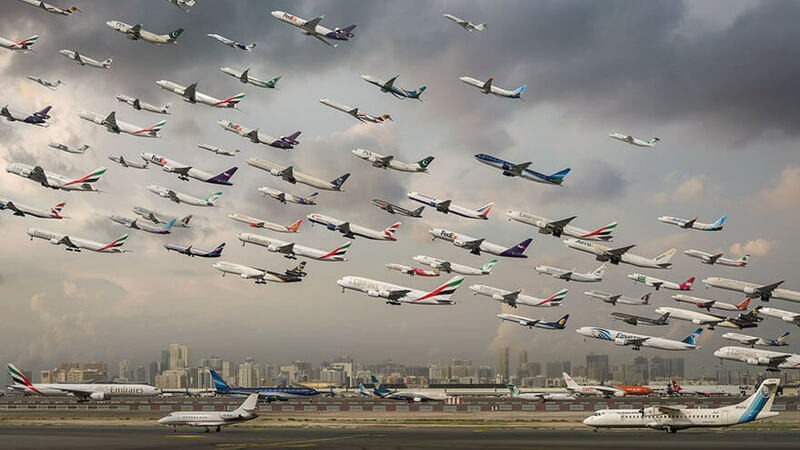 Check out in the gallery below at this stunning series of “Airportraits” or air traffic photos to see what we mean. 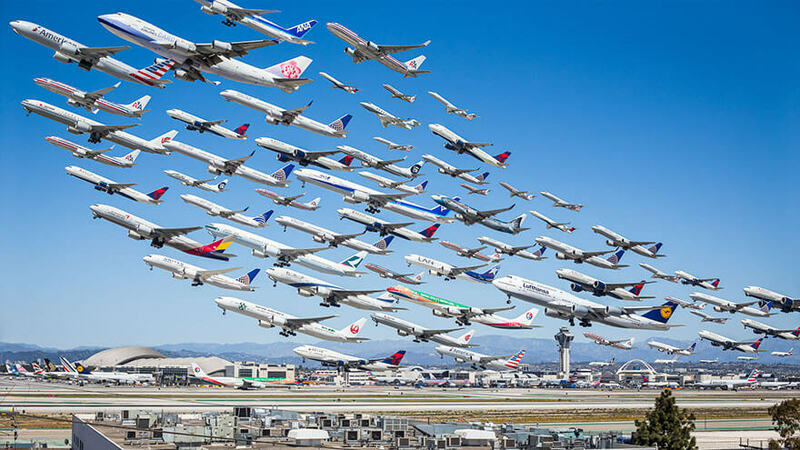 The series is work of LA-based architectural photographer Mike Kelley. 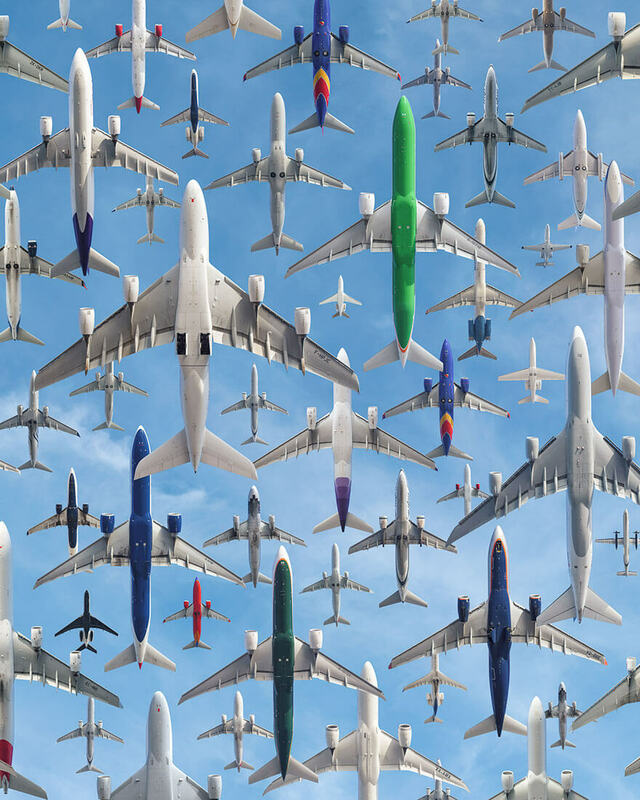 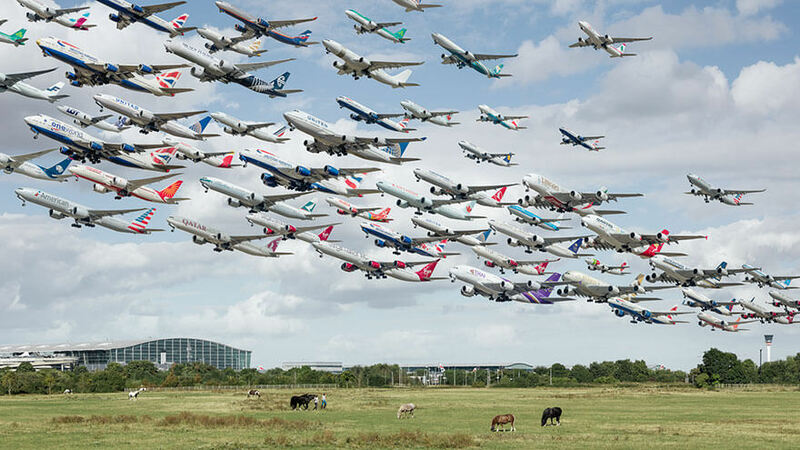 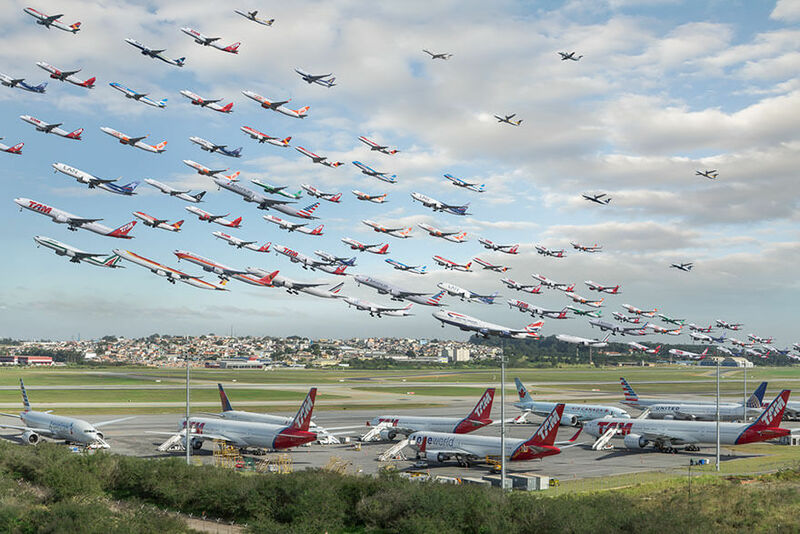 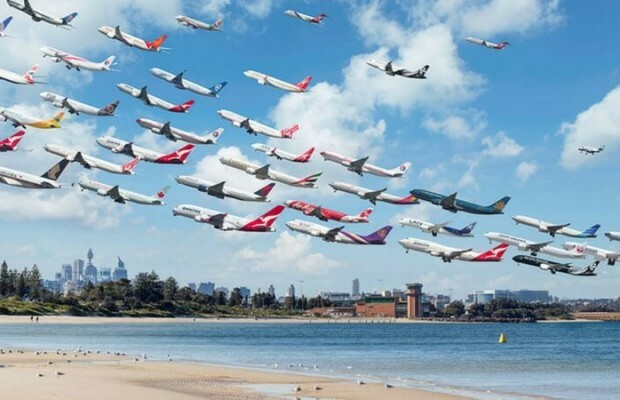 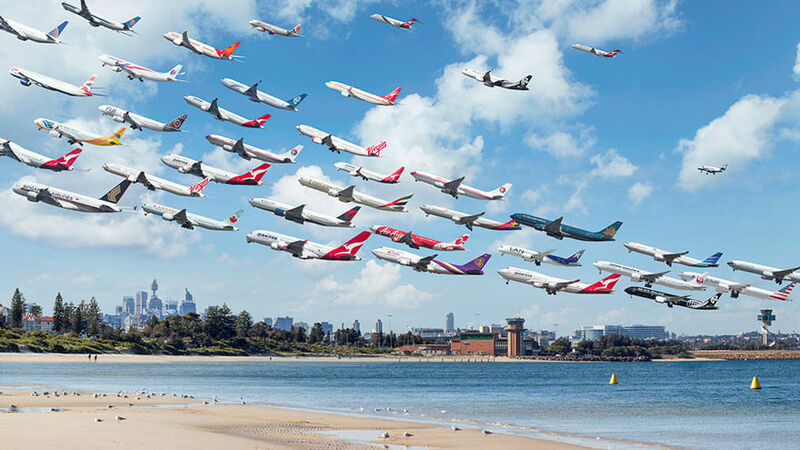 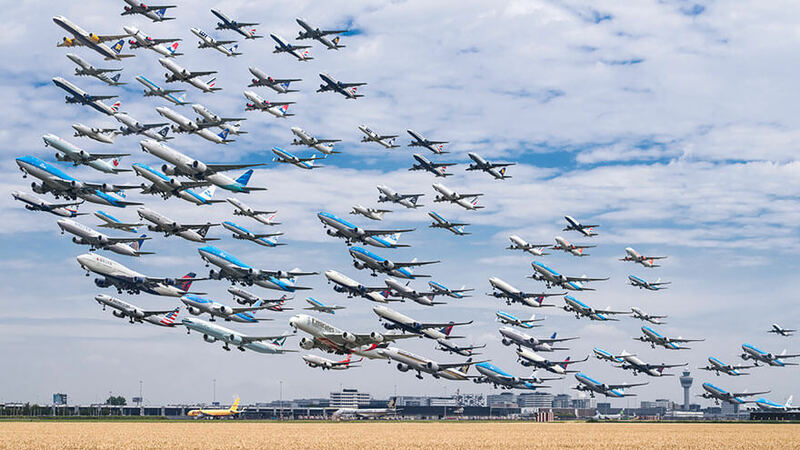 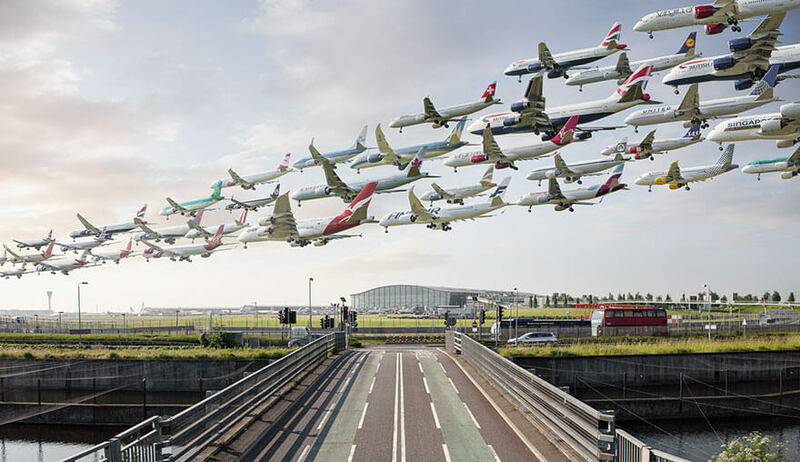 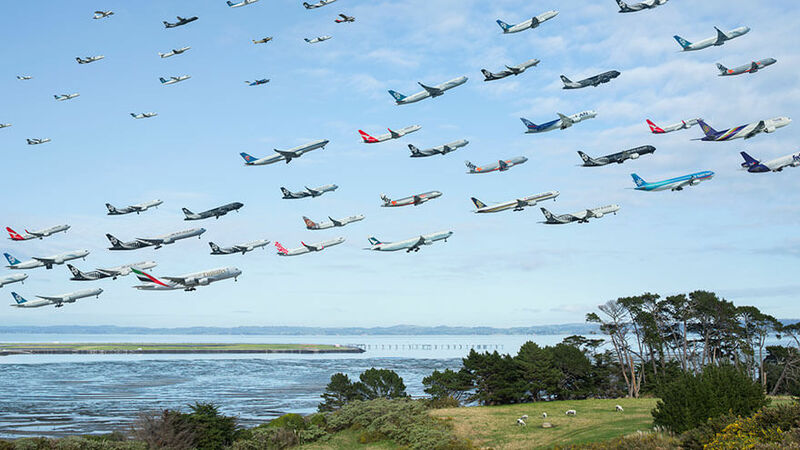 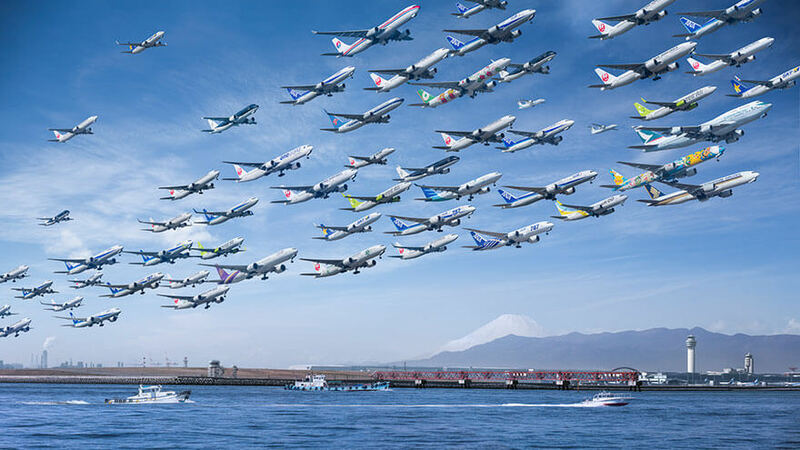 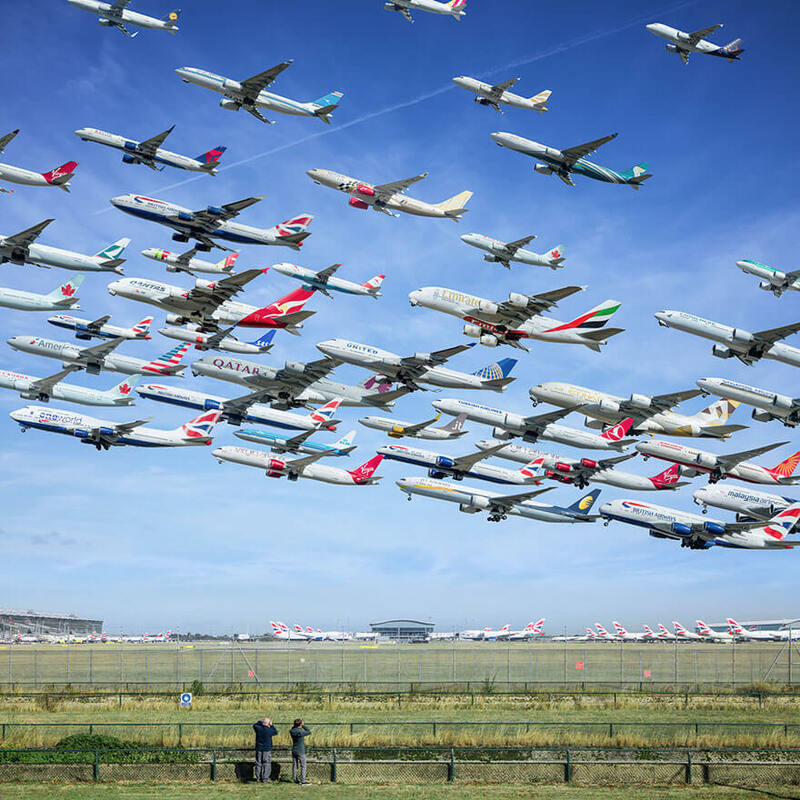 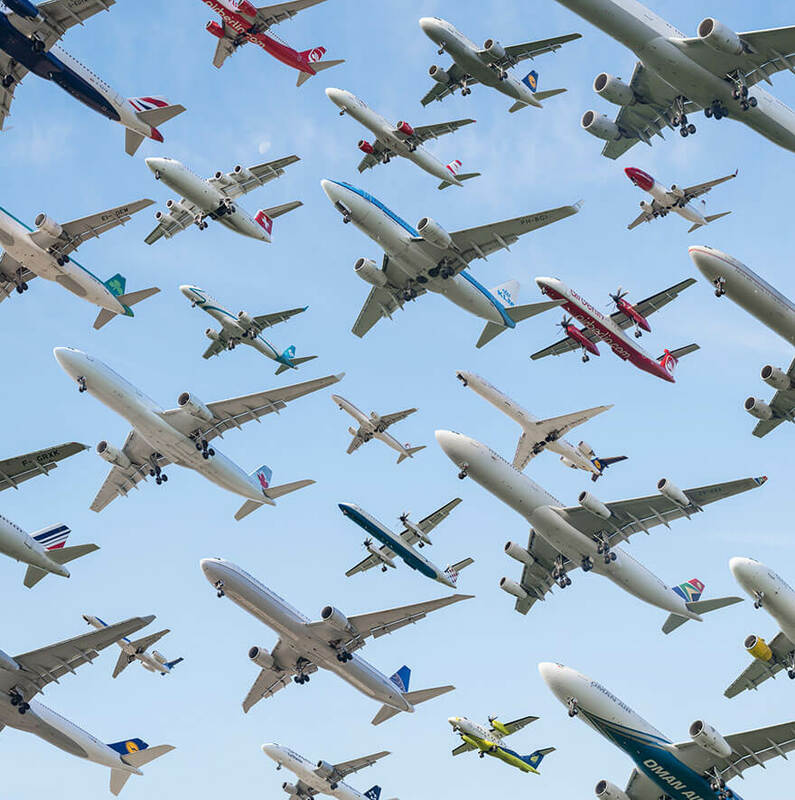 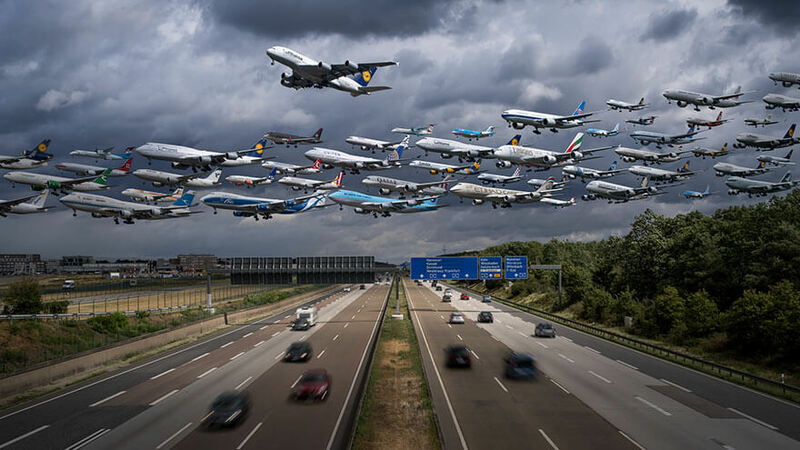 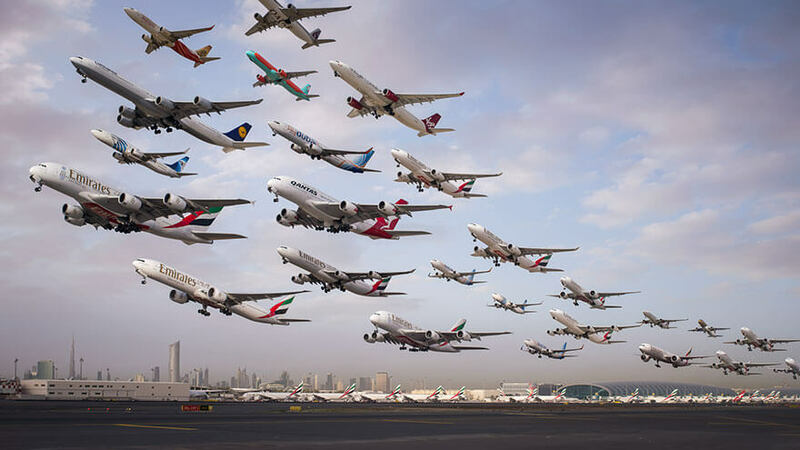 He spent two years at various airports in order to complete this interesting project of air traffic photos. 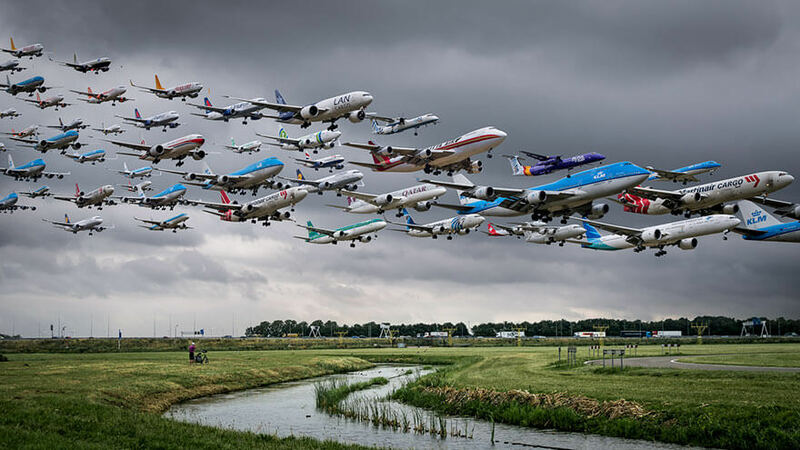 Take your time to enjoy the gallery of “Airportraits” and try to imagine the sound that goes with the picture, and of course, don’t hesitate to share this amazing images of aeroplanes taking off with your friends.